Are you looking for a delicious beef recipe with a difference? If you are, you’ve found it! 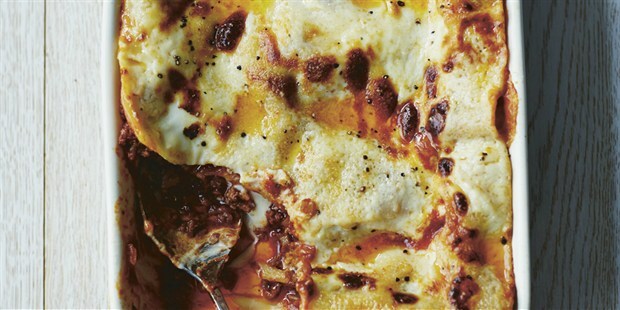 Here’s my lasagne di mamma for you to enjoy. 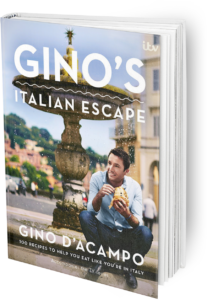 This recipe has been handed down in the D’Acampo family for many generations, though I call it ‘Lasagne di Mamma’ because my mother taught it to my sister and me when we were about 11 years old . It’s a great tradition that my wife will pass on to our own children. Allowing the dish to rest for a good 10 minutes before serving allows the layers to firm up slightly and become easier to cut neatly. 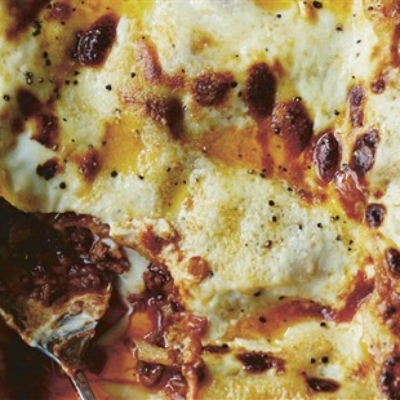 Feast your eyes on the finest lasagne di mamma! It’s straightforward and fun to make this great dish. Simply follow the instructions below and get the perfect result. First make the meat sauce. Heat the olive oil in a large saucepan over a medium heat and fry the onion, carrot and celery for 5 minutes, stirring occasionally with a wooden spoon. Add the minced beef and continue to cook for a further 5 minutes, stirring constantly, until coloured all over. Season with salt and pepper and cook for 5 more minutes. Pour in the wine, stir well and cook for 5 minutes until the alcohol has evaporated. Add the passata, tomato purée and basil, then lower the heat and cook, uncovered, for 1 hour, stirring occasionally, until you get a beautiful rich sauce. Taste and season after about 30 minutes. Meanwhile, to make the béchamel sauce, melt the butter in a large saucepan over a medium heat. Stir in the flour and cook for 1 minute until it becomes light brown in colour. Gradually whisk in the milk, lower the heat and cook for 10 minutes, whisking constantly. Once thickened, stir in the Parmesan and nutmeg. Season with salt and pepper and set aside to slightly cool. Spread a quarter of the béchamel sauce in the bottom of a deep ovenproof dish measuring about 30 x 25cm. Lay 4 lasagne sheets on top and, if necessary, cut them to fit the dish. Spread half the meat sauce over the pasta, then top with a third of the remaining béchamel sauce. Lay 4 more sheets of lasagne on top and cover with the remaining meat sauce. Spread half the remaining béchamel sauce on top. Arrange a final layer of lasagne sheets over the sauces, then gently spread the rest of the béchamel on top, making sure that you completely cover the pasta. Sprinkle with the Parmesan and cubed butter. Finally, grind some black pepper over the top. Cook in the bottom of the oven for 30 minutes, then place the dish in the middle of the oven, raise the temperature to 200ºC/gas mark 6 and cook for a further 15 minutes until golden and crispy all over. Set the dish aside to rest for 10 minutes before serving. Once you’re done, simply sit back and enjoy your lasagne di mamma and don’t forget to check out other great authentic Italian recipes including great antipasti recipes, Italian pasta recipes, Italian soup recipes, Italian beef dishes and authentic pizza recipes.